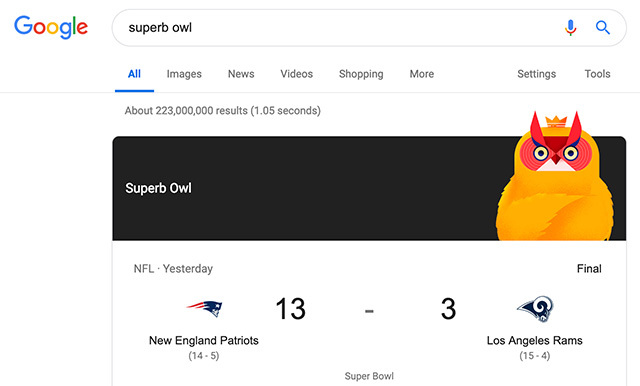 If you were searching for the Super Bowl on Google and mistyped it as [superb owl], which I guess people do, Google would show you a pretty impressive looking owl with the Super Bowl knowledge panel. You can still see it now if you search for it. Based on how the game went, it was likely for many the most exciting thing to do during the game. Google has many easter eggs, in fact, at Search Engine Land we have a big list of them. But this one was pretty funny.